Miss Stephanie Del Valle representing her country Puerto Rico, in the Miss World 2016 has won the top prize in the 66th edition of the pageant. The competition which has been on for more than three weeks now with 117 contestants was finalized on Sunday, 19th December, 2016 at the MGM National Harbor in Oxon Hill, Maryland. The event was hosted by Miss World 2013 Megan Young and actor Jason Cook. She was crowned by Miss World 2015 Mireia Lalaguna of Spain, a tearful Miss del Valle said it was an ‘honour and a great responsibility’ to represent her Caribbean homeland. 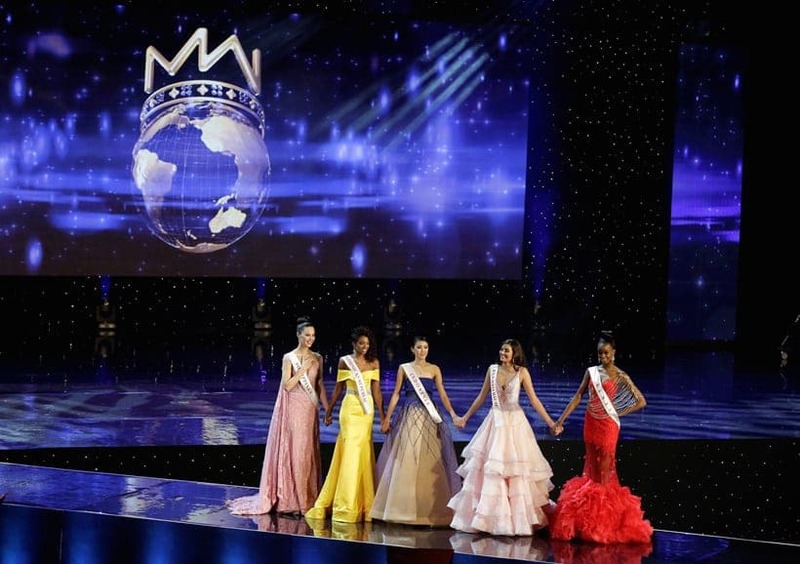 Miss Philippines Catriona Elisa Gray, Miss Dominican Republic Yaritza Miguelina Reyes Ramirez, Miss Indonesia Natasha Mannuela, Miss Puerto Rico Stephanie Del Valle and Miss Kenya Evelyn Njambi Thungu, finalists in the Miss World 2016 competition, stand together in Oxen Hill, Maryland, U.S., December 18, 2016. The newly crowned Miss World Stephanie del Valle, is a 19-year-old student of communications studies, studying at Pace University in New York . She is also a part-time model and musician and can speak Spanish, English and French. Stephanie del Valle is the second Puerto Rican to win the Miss World pageant after Wilnelia Merced took the crown in 1975.